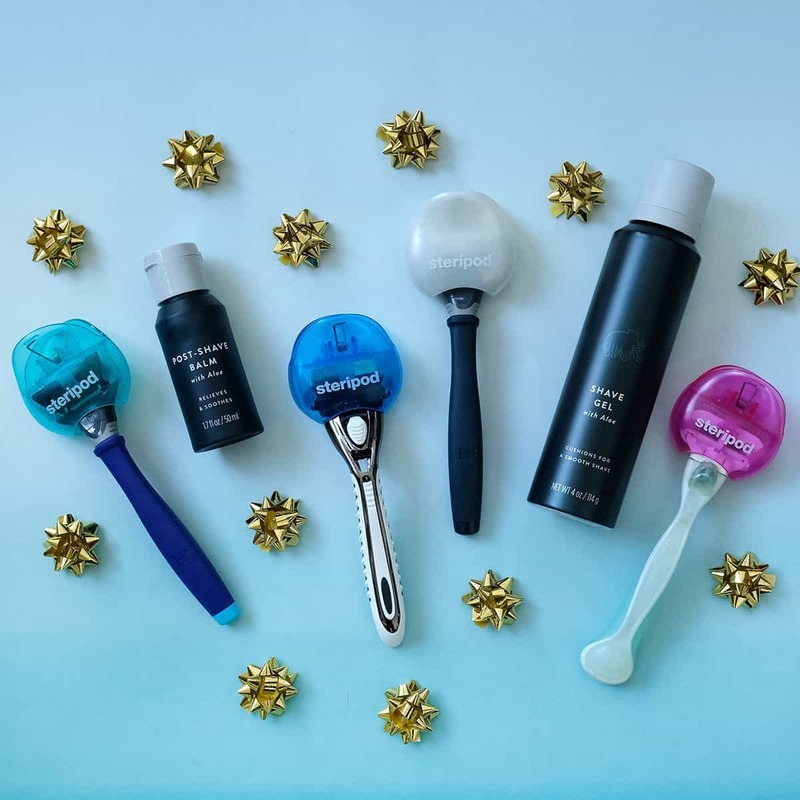 In our humble opinion, there's nothing more fun to shop for than stocking stuffers, and it's extra fun to surprise the man in your life. 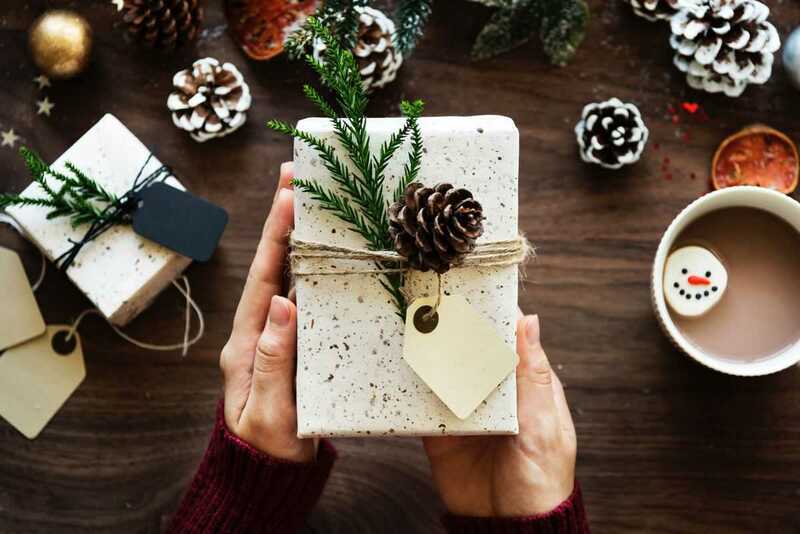 Little treats that he may not buy for himself, small items that make a big impact, silly gifts that make him laugh - no matter what you stuff in your stockings this year, if you choose from our list of faves, you will be sure to hit a home run. These are our favorite stocking stuffers for him this year. The Brüush Electric Toothbrush features sonic technology with over 30,000 brush strokes per minute, providing a deep cleaning for your teeth in the comfort of your own home. 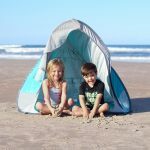 With a rechargeable battery that lasts over 20 days, you never have to worry about the battery running out at an inopportune time. 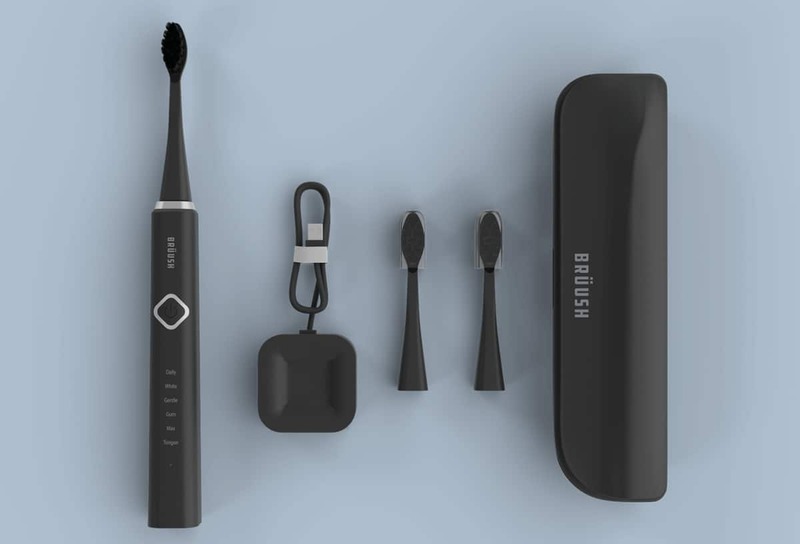 This premium electric toothbrush comes with 3 brush heads, a magnetic charging stand, and a travel case as well as a USB power adaptor. 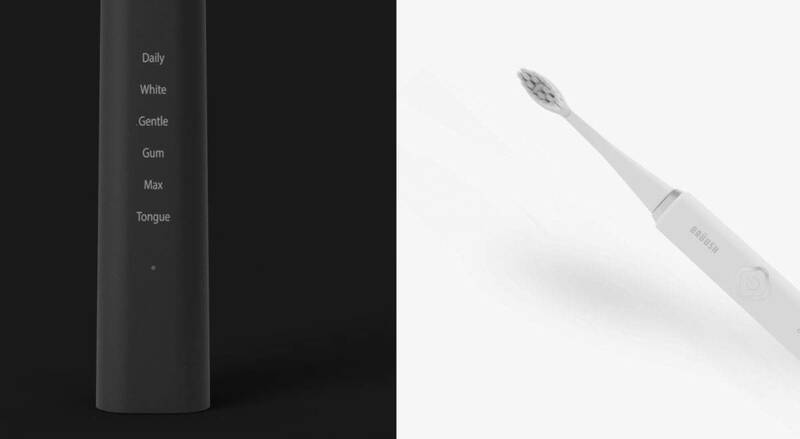 Multiple cleaning modes let you customize your experience and help you make the most of this toothbrush. The convenient subscription brush head delivery will ensure you are using the highest quality brush head to receive maximum results. These days, you can get a pair of touchscreen gloves almost anywhere. However, you typically can't find a pair in which all five fingers are touchscreen compatible. 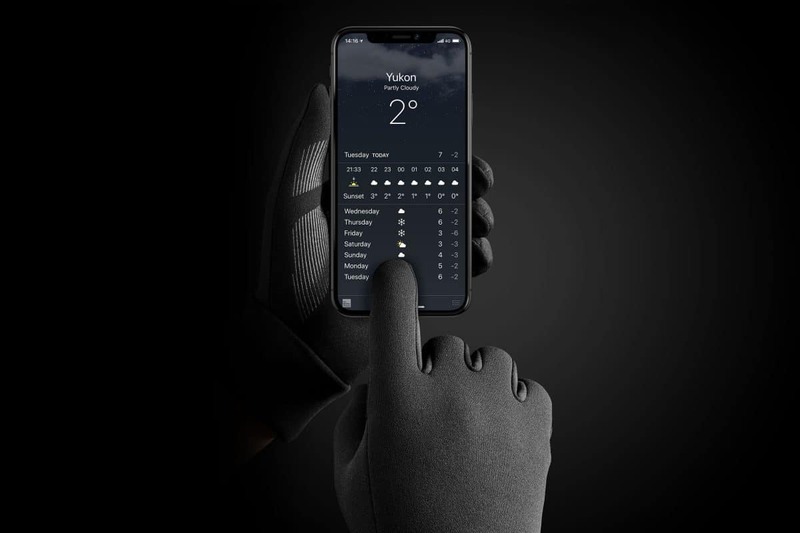 Mujjo's ALL NEW Touchscreen Gloves do just that while providing all the warmth you could ever ask for. 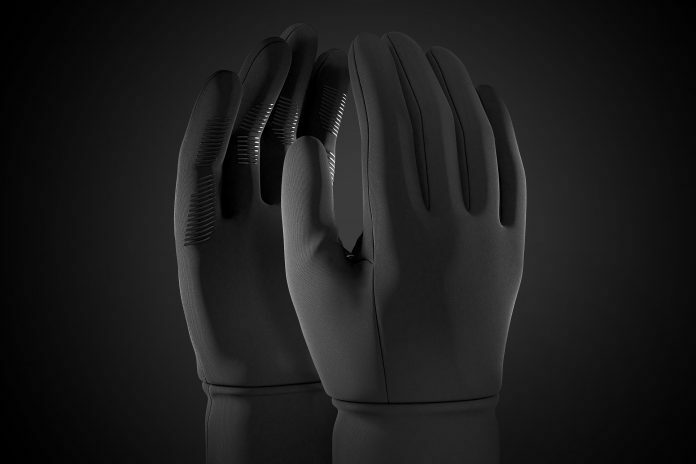 These gloves feature a durable triple-layer top, laminated with 3M™ Thinsulate™ in a ‘sandwich’ construction for excellent insulation, which makes these gloves perfectly wind-resistant. Then the stretch-knit fleece fabric stretches 4 ways for a comfortable pre-curved fit that immediately tailors to the shape of your hand. The stretch cuff seals snugly around the wrist, and keeps out the cold air. Additionally, these gloves are lined with a soft layer of integrated fleece that makes them soft, warm and comfortable on the inside. Then there is the subject of keeping your phone securely in your hands on those cold and windy days. 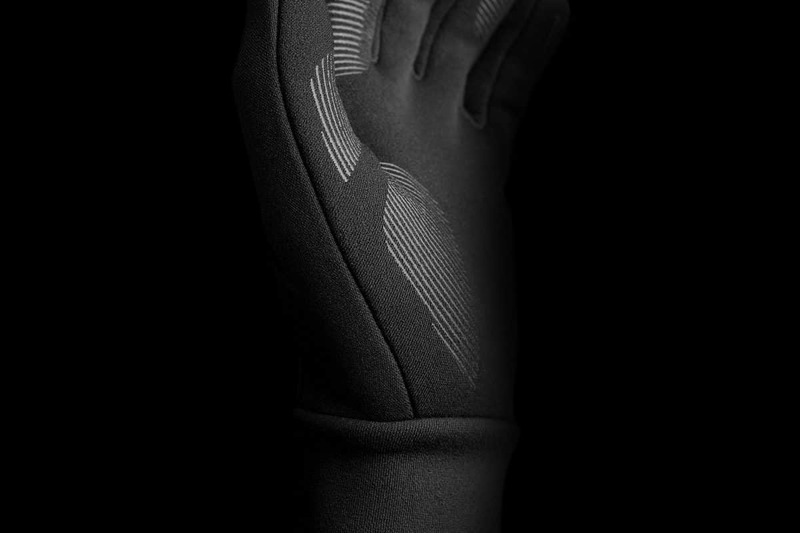 The all-new touchscreen gloves are uniquely designed with optimized grip lines, made from sticky silicone, and strategically placed on the prevalent parts of your hand that touch your device. So, even on wet and stormy days, your phone will stay tightly nestled in your the palm of your hand. Perfect for men or women, these gloves are the perfect gift for anyone. The Soul Emotion earphones are a high quality gift with a budget-friendly price. 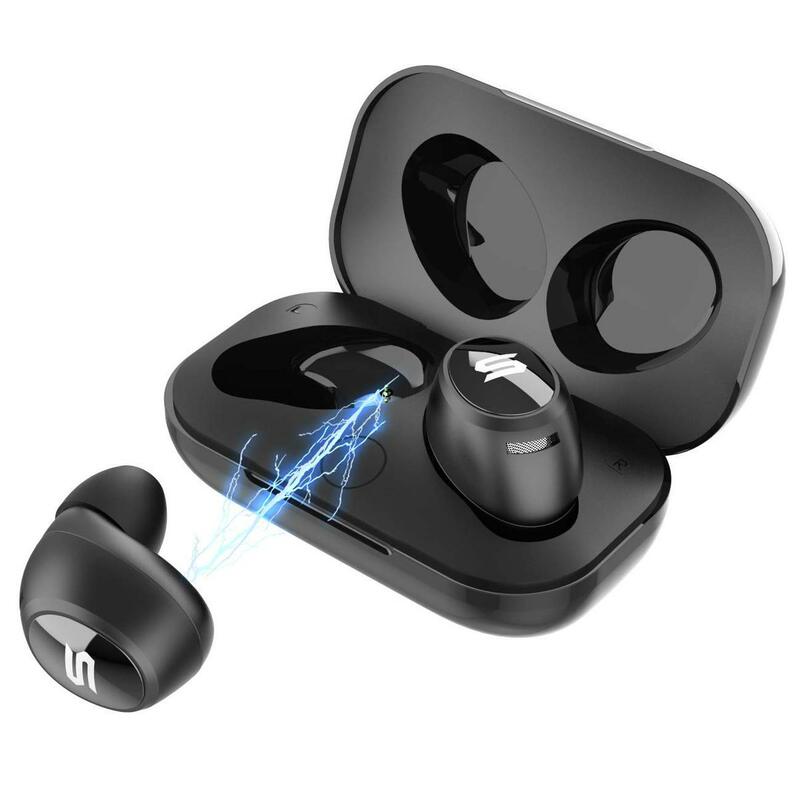 They pair easily with your phone (through Bluetooth), and come with four different sized rubber earpieces to ensure a snug fit. 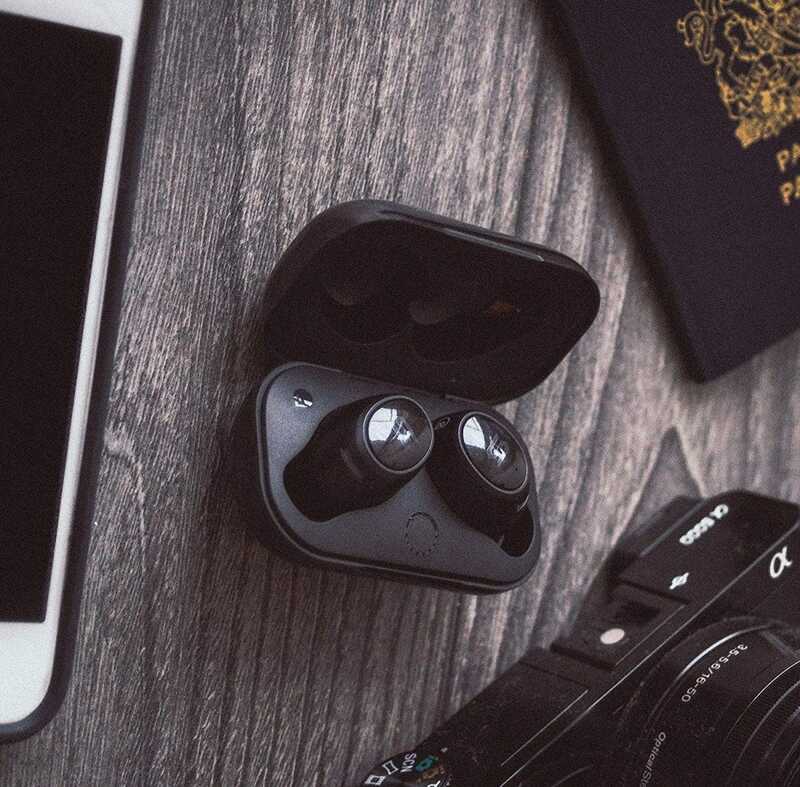 With excellent sound quality for both music/podcasts, as well as taking phone calls, these lightweight earbuds are perfect for any occasion and make a great gift for anyone on-the-go. Whether you're on a run, going for a walk, or even taking a conference call, the Soul Emotion earbuds have you covered. 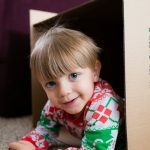 At one point or another everyone has lost something, and nothing is worse than misplacing things during the holidays. So it seems like a no brainer to give a Tile Pro. Allowing you to giving the gift of always finding your valuables this year. 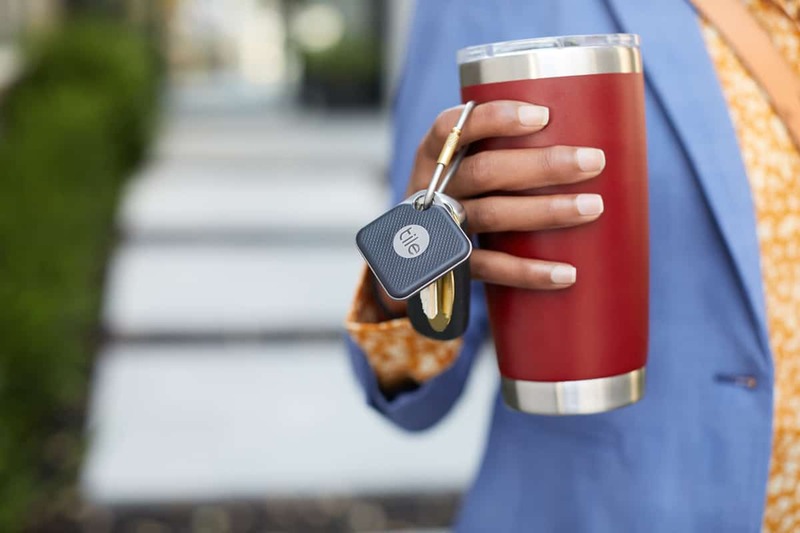 Simply physically connect it to your phone, keys, slide one into your wallet or add one to your gym bag so you don't misplace your favorite shoes. To ensure you find your lost items, just download the app and pair with your IOS or Android device via Bluetooth. You can ring it when it's nearby, or see it's last known location. For those times when you've left it further away you can even crowdsource the community to find it for you. The Tile Pro can be contacted anywhere within 300 ft, it is louder than previous versions and now has a user replaceable battery so you no longer have to pick up a new one a year later. There is also no need to worry about knowing when the battery is low, as the app will notify you. 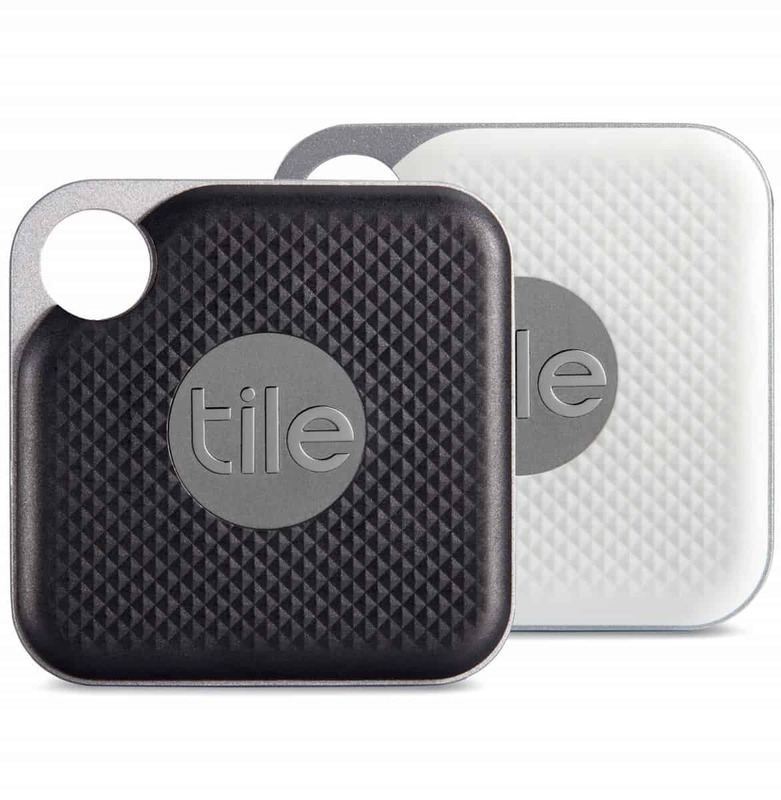 For those who want a little more peace of mind, upgrade to the Tile premium subscription plan. Included are smart alerts to notify you if you've left without your device, free battery replacements, location history, and an extended warranty just to name a few. You will want one for yourself, your spouse will want one as well, and don't forget about all your loved ones on your list. So make sure you order their package deal, where you gain the biggest savings. Then you’ll have more time to go out and enjoy the holiday season always knowing where your belongings are located. If you have an active person in your life, compression socks are necessary. They provide the circulation that is needed to help with recovery after intense workouts, long runs, or for prolonged pain and injury. 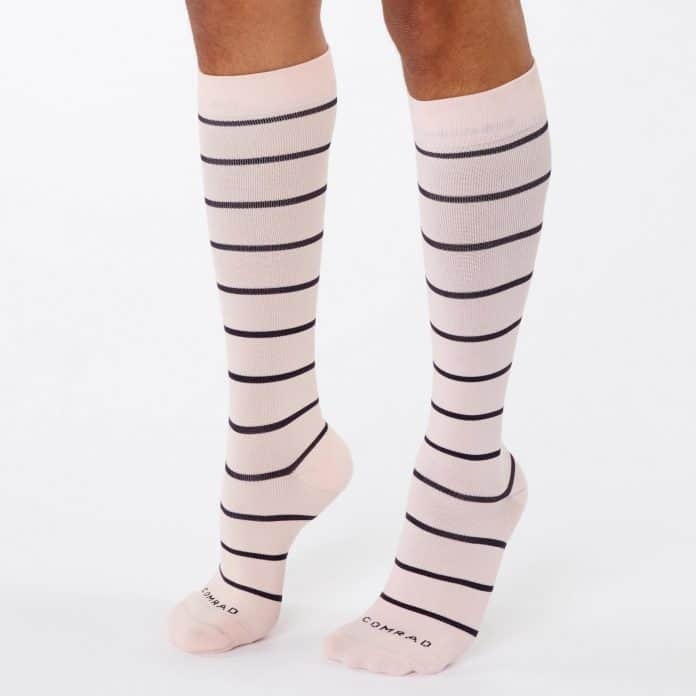 COMRAD compression socks are stylish and comfortable compression socks that can give relief to any person who is wearing them. 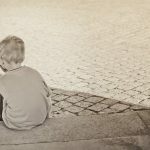 Whether they are for someone recovering from activity or they are just going to be sitting for a long time (like on a plane) the unique compression technology offers relief, comfort, and recovery in your legs, ankles, and feet. They have a variety of styles and colors. The Pink Stripe 3-pack is perfect for every day use like pregnant women or those who are in the middle of a training season. The Varsity Stripe are cool and classic, great for a long run or to wear in place of regular socks when at sports practice. The Jet Black blend in perfectly with everyday office-wear so they can be worn under your pants during a long day sitting at your desk. Plus, socks are kind of a requirement for holiday gifts. Why not give them ones that have some super abilities like the ones from COMRAD. 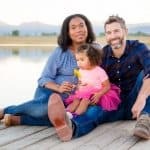 Their morning routine is the same: they grab their coffee to go every morning from their favorite coffee shop before heading to school or to work. But the problem is always the same- the coffee gets cold way too fast or their iced coffee starts with condensation getting their papers, hands, and clothing all wet. Solve that problem with a simple solution all coffee lovers will love with Java Sok. 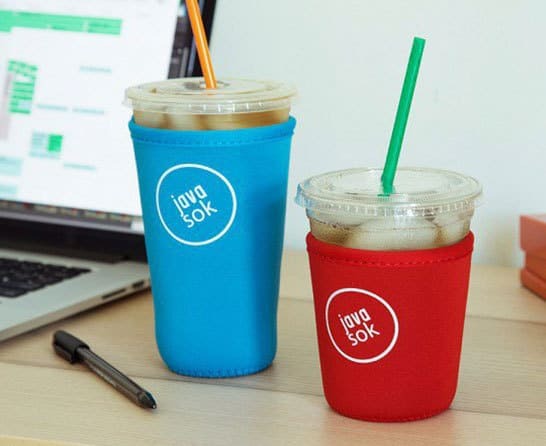 Java Sok is a convinient sleeve that fits over your to-go coffee cup to keep it warm or to keep it dry. 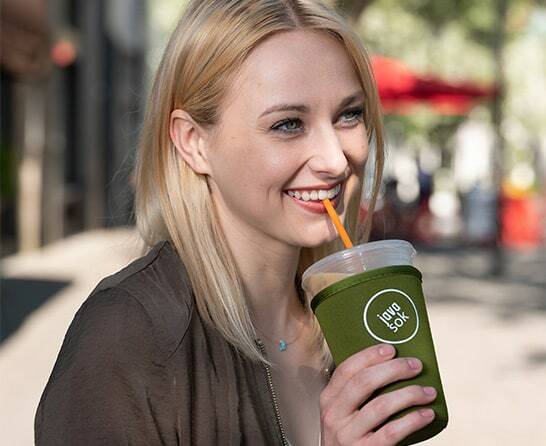 It comes in three sizes: small for 16 oz to 18 oz cups, medium for 22 oz to 24 oz cups, and large for those major coffee drinkers at 32 oz. With a plethora of colors like pink, black, and even camouflage you will be sure to find the color and style for every person on your gift list. It makes a great gift for coffee lovers if paired with a gift card to their favorite coffee shop or as a stocking stuffer. Everything around us is surrounded by technology- even our homes. 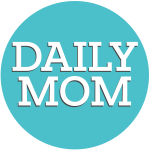 We use our Amazon Echo 2 to play music, order groceries, manage our calendar, and play music. But the kicker is that you can't take these devices with you from room to room. Because they always needed to be plugged in, they are confined to the room in which you set it up. And if you do move or unplug it, you have to start the set-up process all over again. 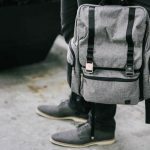 For that person in your life who lives off of their home device helping them around the house, the Sky Tote from Ninety7 will allow them to take their home device wherever they go. The Sky Tote is a portable battery base for an Amazon Echo 2 device that allows you to unplug and go. With up to 8 hours of battery life and a convenient handle to carry your device with you, it's easy to bring your jams, news, etc. with you to every room. The 4 LED lights tell you the remaining battery left, too, so you know when to plug it in and recharge. From the kitchen to their home gym, they don't have to stop the music. From their office to the family room, they can continue listening to the news. 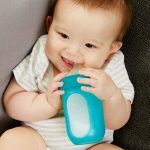 Sky Tote makes your Amazon Echo 2 even easier to use- even if it still can't feed your kids. For the car lover that also enjoys being prepared, a Digital Tire Inflator is a great choice this holiday season. This Digital Tire Inflator is a portable pump that can make a flat tire full in under three minutes. 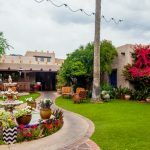 By plugging into your cigarette lighter or 12 volt outlet, you can easily operate your tire inflator anywhere you find yourself needing to increase the tire pressure. Although ideal for a car, the Digital Tire Inflator can also be used for a bicycle, motorcycle, RV, SUV, ATV and trailer. The snap-on connector makes securing the pump to the tire fast and easy while preventing air loss. The LCD display gauge makes reading the tire pressure easy and clear. Additionally, the microprocessor keeps track of your PSI and automatically stops when your desired pressure is reached. Fitting into a small carrying case, the Digital Tire Inflator is compact and can be stored in the trunk of your vehicle or in the interior of the car itself. Keep this tool with you in your car and you will be prepared in any emergency situation. Included with the Digital Tire Inflator, you will also receive inflatable adaptors, a valve for bicycles, and 4 valve dust caps. Don't we all know someone with a smartphone? And, we probably know someone who is constantly running out of battery power. Give that person a Boosa power bank. 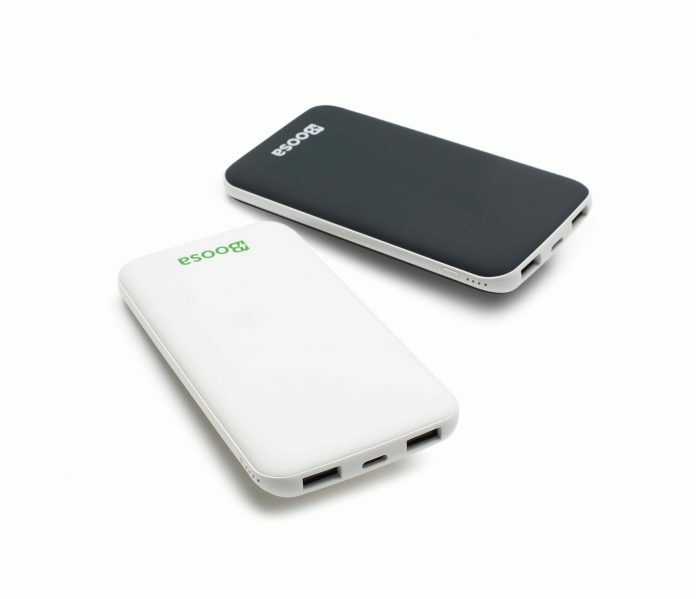 Featuring a beautiful, non-slip rubber casing, and pass-thru charging technology (meaning that you can charge Boosa while also charging your device), Boosa is not the eyesore that other power banks often are. 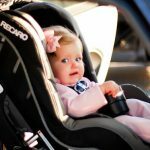 It's also incredibly light so you can bring extra power without the extra weight. 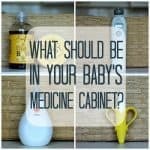 Toss it in your purse or backpack and off you go! With a durable, 50-hour continuous power charge (even during heavy use), the new Boosa Macro M1 Power Bank is a superior, high-capacity portable phone charger that'll juice up your iPhone 8 over 3.5 times or your Samsung Galaxy over 2 times using its impressive lithium polymer battery. Heck, you can charge three devices at one time if you want. And because it powers itself on and off, even your father-in-law who hardly knows how to operate his smart phone can use it! 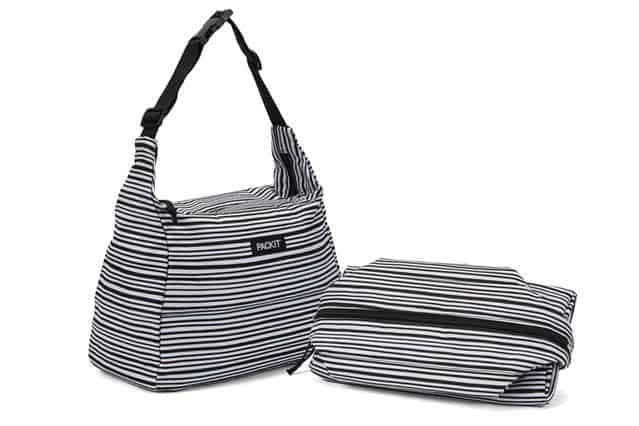 The Packit Freezable Hobo Lunch Bag is simply genius. 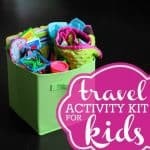 There is no more need to carry heavy ice packs in your cooler or lunch bag anymore because the Packit is a bag that has freezable gel built-in to it that keeps the contents of the bag chilled for hours. Make more room for the food and beverages you wish to transport by eliminating the ice altogether. For your guy's stocking this year, take the typical toothbrush stocking stuffer up a notch with a Steripod Kit. 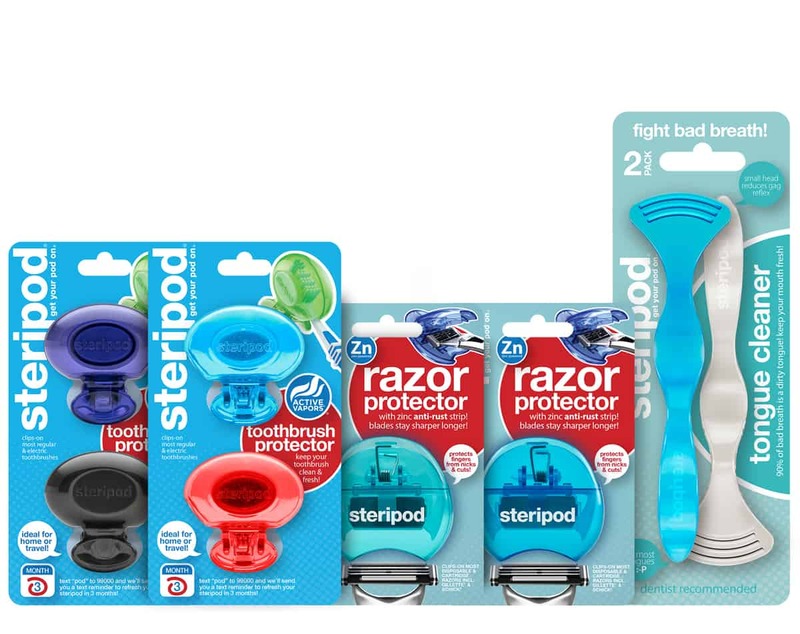 Steripods are clip-on protectors for toothbrushes and razors. Toothbrushes are very susceptible to airborne contaminants. By keeping a Steripod toothbrush protector on your toothbrush when not using it will prevent germs from entering your mouth. Likewise, a razor can be affected by environmental factors causing early dulling and rust. Included in the Steripod Kit for Men are two razor protectors that will not only keep your razor blades sharper longer but are also ideal for traveling. The Steripod Kit for Men includes 4 toothbrush protectors, 2 razor protectors, and 2 tongue cleaners. Any male will truly appreciate this genius tool in their stocking this holiday season. Is there anything better than starting the day with a hot cup of coffee? 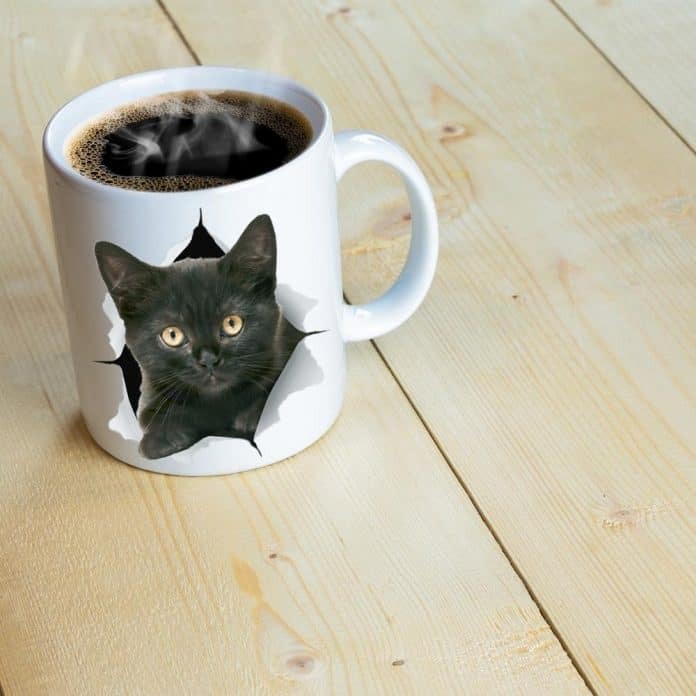 Now there is something better and that is starting the day with a hot cup of coffee in your Custom Your Pet White Mug. The custom pet design appears on both sides of the mug, so you can enjoy looking at your fur baby from both angles. Sure to be enjoyed for years to come, this will be the gift that keeps on giving each morning as you peer into your sweet fur baby's eyes as you enjoy a good cup of joe. Everyone wants a bright and shiny smile, but we all want it in the safest way possible. 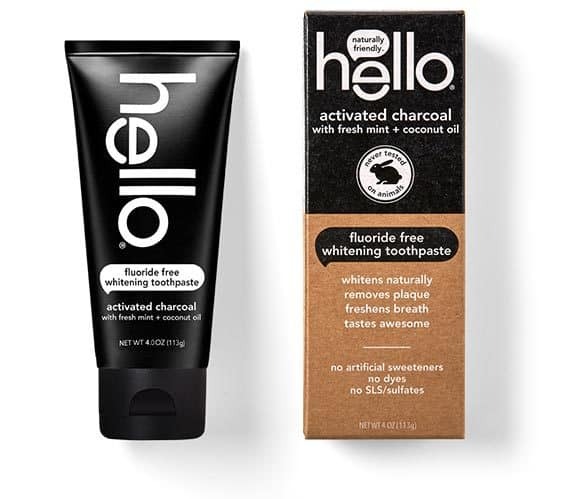 Another "must-have" for everyone's stocking this year is a classic with a bit of a twist: safe and natural toothpaste from hello for the whole family. 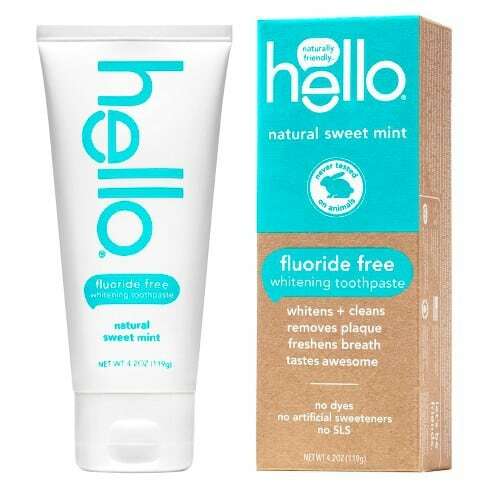 The kids will love the watermelon flavor of hello's all natural, flouride-free toothpaste. 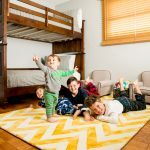 Its simple fruity flavor will make the kids happy, as well as parents since they know it is safe for everyone- even the youngest ones in your crew. For the adults, you can spice up the regular obligatory toothpaste-in-stocking with one of the adult versions of hello. Their Activated Charcoal toothpaste might look funky at first but they will soon love how clean and white their teeth look. If they just need a little more sparkle (and don’t love the black soot look while brushing their teeth), hello’s Extra-Whitening Fluoride-Free Toothpaste will do the trick. 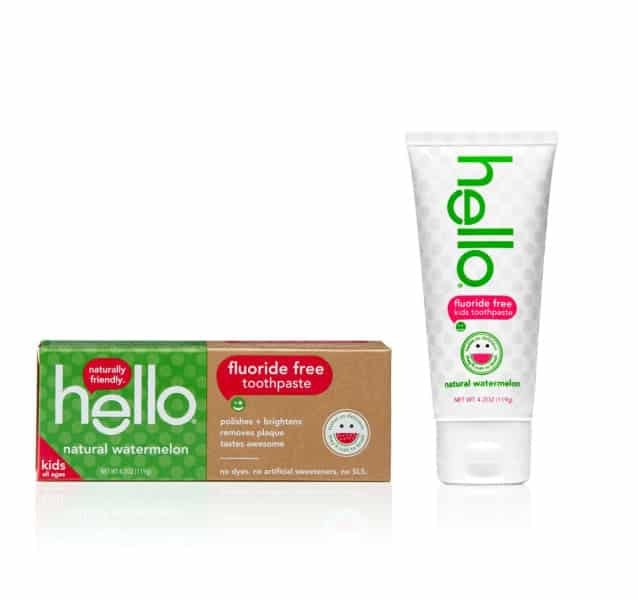 Make stocking stuffers a little more fun this season with hello toothpaste! We hope you enjoyed shopping this stocking stuffer list as much as we enjoyed putting it together for you. Whoever the special man in your life is this holiday season, you'll be sure to bring him a stocking full of joy.